I have observed that some cars were sitting on top of the grass indirectly killed some of the grass at the road side. I felt that human is quite selfish enough to conquer the green peace and built their dream home on the land and there are no replacement of the green area but some portion only reserved for us and for “them”. Look at the haze we had experience in a decade til now, are we enjoy? The green left us in lighting speed but there are replacement at all. 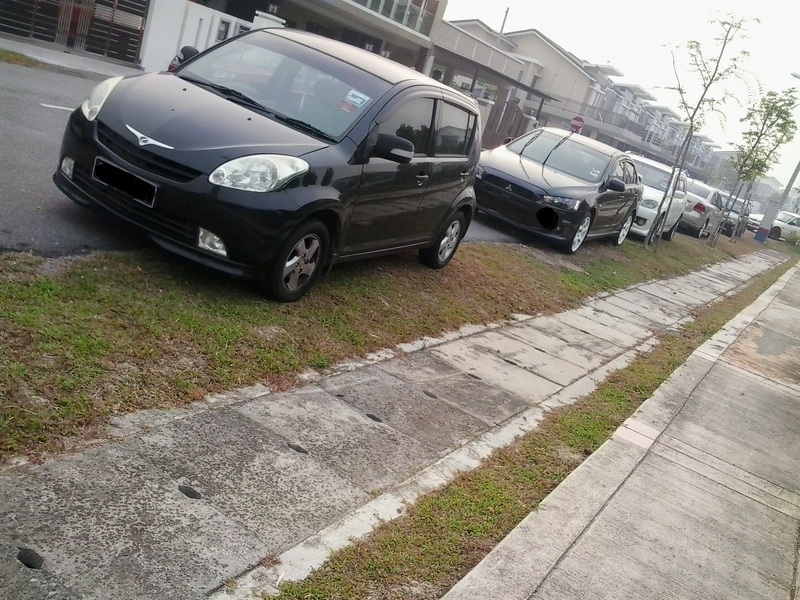 Some people may think not to block too much of the road while parking at the road side, however I personally felt that its only a feet offset from the road side and it should be OK for the road user. I strongly advice all to take good care of the green peace at common area. To build a greenish sweet home for you and your children. Just a simple step forward, the green peace will survive. 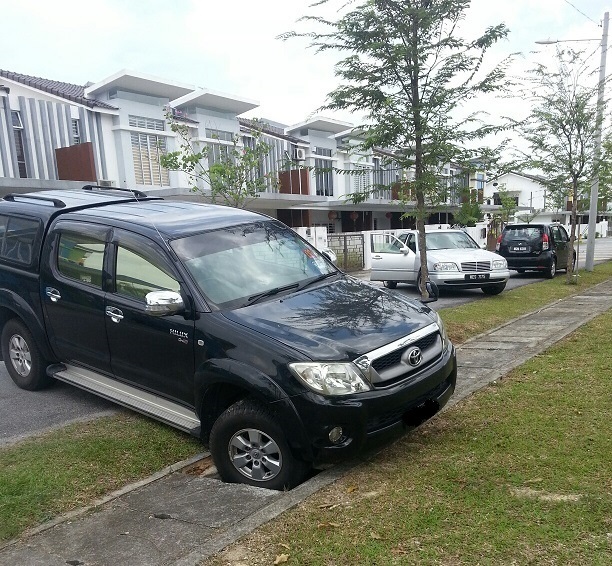 Beside grass, please do not drive or park your car on concrete drain cover / slab, you are not only breaking the concrete cover, but also damage your car under carriage.